When water damage happens in Centerville, the first thing you should do is give Disaster Doctors a call. We have crews on call 24 hours a day, 7 days a week, that can be at your Centerville home in less than an hour. Our rapid response time is something we take great pride in, and it’s critical to making sure that you suffer as little damage possible. Our trained technicians will bring the best equipment available in our industry to begin the process of extracting the flood water from your property. Water Damage doesn’t just happen from weather related events, like flash floods. Water Damage also happens from broken, frozen, or leaky water pipes, plumbing issues, like toilet backflows, and failed appliances, like a leaking dishwasher. If you happen to have the displeasure of experiencing any of these issues, give Disaster Doctors a call today, and we’ll come to the rescue! “I had called a few companies and none of which were able to come out today regarding a mold scare. Garett with Disaster Drs said they could come out today and showed up in as little as two hours and kept me updated about his whereabouts the entire time. He gave us his honest opinion and was very thorough with his inspection. We have dealt with many home companions over the years and this company is probably one of the very few out there that truly care about their customers even if they don’t end up paying for a project in the end. I would highly recommend using Disaster Doctors.” – Natalia C.
Disaster Doctors is Centerville’s full service disaster cleanup company. We take care of it all, not just the water remediation. We are a fully licensed general contractor, so we will not only extract the water from your property, we can also handle the repairs. We work with all insurance agencies, which will save you time and reduce stress during an already stressful situation. One of the main reasons we take pride in our rapid response, is because water does more damage over time. The longer water sits, the more damage it will do to your flooring, drywall, framing, and more. This is exactly why it’s important to hire a local, quality company to handle the water extraction. If you do not completely dry out the area, the moisture will be a breeding ground for dangerous mold spores, and other pathogens. After our experts remove all standing water from the flooded area, they will then start the process of drying and dehumidifying the area. Our techs are trained on the best drying techniques, and use only the best drying and dehumidifying equipment made for our industry, to ensure the area be as dry as possible. This attention to detail will ensure that no more mold growth will take place. We also make sure to completely clean the area of any mold growth, or foul smelling odors. After our skilled technicians have properly dried the flooded area, we then begin the restoration process. We will completely repair any damaged area, whether it is your walls, flooring, framing, or any other part of your home. Our techs are experienced with all types of home repairs, including bathrooms and kitchens, so we know you’ll be completely satisfied with our repair work. We will not be satisfied until the flood affected area looks like it did before the damage took place, or better. If you would like Disaster Doctors to get started on your Centerville flooded home today, give us a call, and we’ll be there in an hour or less! If the water damage you’ve experienced in your Centerville home is sewage damage, don’t hesitate, and give Disaster Doctors a call right now. Water that’s contaminated with sewage is nothing to take lightly. The last thing you want to do is put your family at risk of harmful bacteria and dangerous pathogens, which is why a professional needs to handle sewage cleanup. Disaster Doctors has technicians that are fully trained, and IICRC certified to properly cleanup and repair sewage damage. Give us a call today if you have any other questions, or are ready to have us get started. 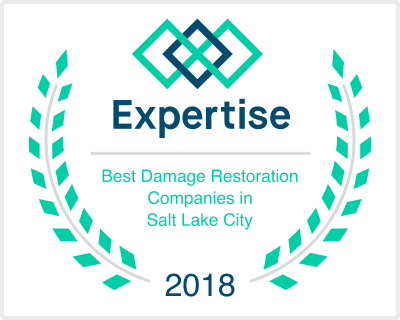 We provide water damage Centerville UT services to 84025.